The “come-and-go” style event is free to the public with tickets available at the door. The event is organized by Macon County Republicans. Mr. Jim Scott, Ms. Dora Eitel, Circuit Clerk Twila Halley & Family, Rep. Tim Remole, Presiding Commissioner Alan Wyatt, Associate Commissioner Drew Belt, Mr. Ted Harrell, Coroner Brian Hayes, Treasurer Krista Bruno, Recorder Sherry Muncy, County Clerk Shirley Sims, Associate Judge Phil Prewitt and Associate Commissioner Jon Dwiggins. Entertainment will be provided by Gary Fagan of Atlanta as well as ragtime music played by nationally renowned pianist John Hancock, the current chairman of the Missouri Republican Party. Rep. Tim Remole and his family will also provide entertainment for the entire family. 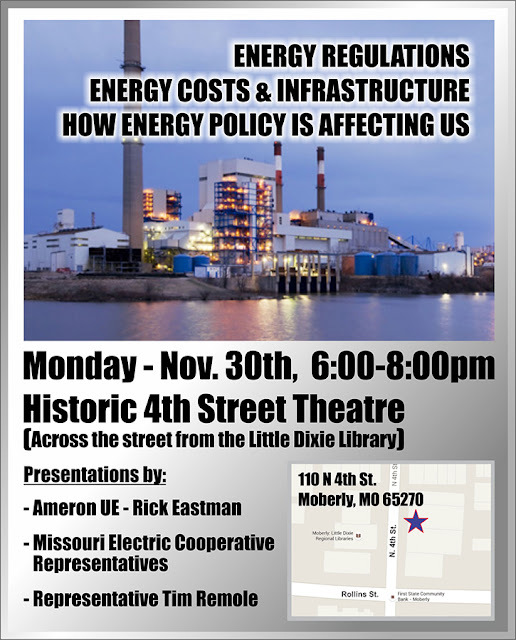 Various political organizations will be present to provide information on issues ranging from Right to Life, Right to Work and Common Core; there will be no formal program. The event will also feature a presidential straw poll. An auction will be held at 7:00 P.M. including homemade pies from Phyllis Doctorian, Linda Belt, Twila and Sammy Halley and Erica Baker. Beverages will be available including a cash bar provided by Carved Hearts Tavern. Each person attending will be provided a ticket, available at the door or from one of the above cooks. 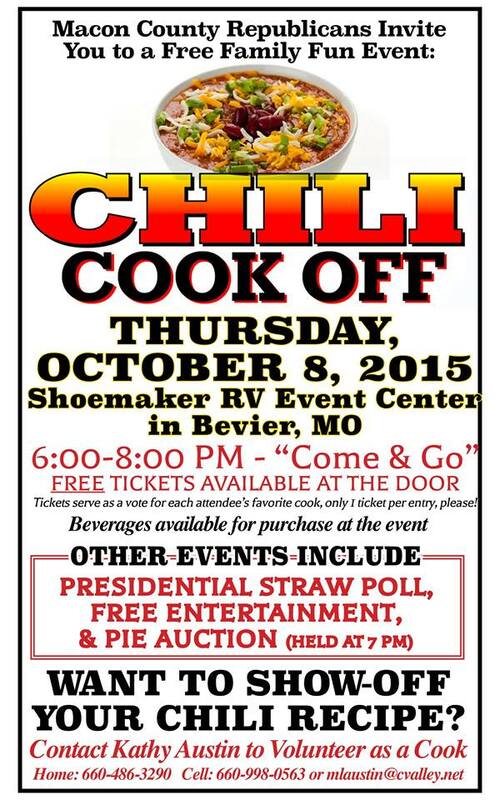 Each ticket serves as a vote for each attendee’s favorite cook. 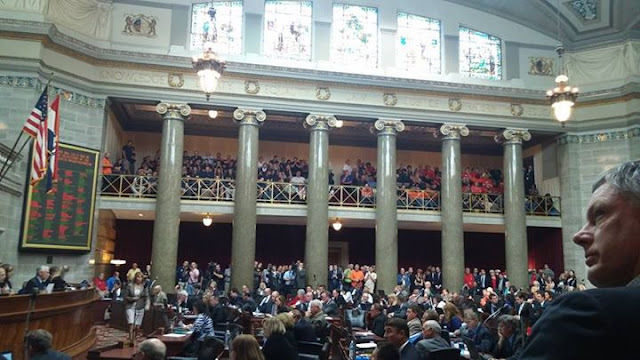 Worth every single second to watch, listen and learn what's going on in D.C.
On September 16, 2015 the Missouri General Assembly had a historic opportunity to help Missourians of all walks of life. With veto proof majorities the Missouri Legislature could have enacted worker freedom in spite of Governor Nixon’s veto. The Republican led House of Representatives failed to override the veto because of 19 Republicans (20 if you count former democrat Linda Black) who stood with liberal-progressive Governor Nixon and voted NO. Hillary Clinton immediately praised the defeat of right-to-work in Missouri. Now begins the process of holding the 20 NOES accountable for standing with Hillary Clinton and Jay Nixon. Missourians from all backgrounds deserve more job opportunities, higher wages and salaries, and more prosperity. We deserve worker freedom. The new Yes voters are Robert.Cornejo@house.mo.gov, Courtney@Curtis@house.mo.gov, Jim.Neely@house.mo.gov, Randy.Pietzman@house.mo.gov and Dan Shaul@house.mo.gov (Courtney Allen Curtis is a democrat). These folks deserve a lot of credit for this vote, they recieved huge pressure to stay a No but they voted YES. Thank you to James Pietzman, Dan Shaul, Jim Neely, Robert Cornejo and Courtney Allen Curtis! To Mary Hill: Thank you for your tenacity and tireless perseverance in this battle!! You've accomplished huge steps forward. Stand proud!